A surgeon who spent years working in the Hudson Valley and who was sentenced to over four years in prison became the subject of hundreds of medical malpractice lawsuits by local residents who were the subject of sometimes-fraudulent or botched surgeries. Recently, lawyers for the victims and for the insurance companies who will cover the costs of the lawsuits reached a settlement of these claims. 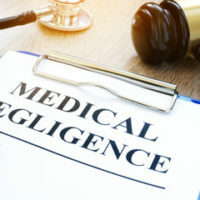 Read on to learn more about the case, and contact a Hudson Valley medical malpractice attorney as soon as possible after you’re the victim of a botched surgery in New York. Orthopedic surgeon Dr. Spyros Panos practiced at the Mid-Hudson Medical Group in Poughkeepsie. In 2008, Panos began submitting false or exaggerated claims to medical insurers and Medicare, finding that these false claims brought in additional revenue for the hospital and caused his own pay to rise. Panos would inflate his billing, and thus reimbursements received from health care providers, by seeing dozens of patients a day. Federal prosecutors later claimed that records showed that Panos would regularly perform 20 or more surgical procedures in one day, seeing 60 or more patients during office time, and sometimes over 90 in one day. Over the five years that an eventual federal investigation found that Panos perpetrated this fraud, the surgeon submitted over $35 million in claims to health care providers. In 2014, Panos pleaded guilty to one count of health care fraud. He was sentenced to federal prison, fined $250,000 and ordered to pay $5 million in restitution for improper billing. He was released from prison in March of 2017, at which time he faced the complaints of hundreds of former patients who were injured by his surgeries. In all, over 260 of Panos’ former patients or surviving family members filed claims against the surgeon for various injuries caused by his medical malpractice. Recently, the attorneys for the plaintiffs reached a $45-million settlement agreement with the insurers that will provide some compensation for the victims’ injuries. The settlement will be divided according to the severity of the victims’ injuries. While no amount of money can compensate a victim for the loss of a loved one or for lifelong pain, compensation from medical malpractice claims can help ease the financial burdens that often accompany these types of serious injuries. If you or someone you love was seriously injured by an incident of medical malpractice in a New York hospital, find out if you’re owed money for these injuries by contacting the dedicated, seasoned, and effective Hudson Valley medical malpractice lawyers at Rusk, Wadlin, Heppner & Martuscello, LLP for a free consultation on your case, at 845-331-4100 (Kingston), or 845-236-4411 (Marlboro).